I watched a documentary recently about pursuing a dream. 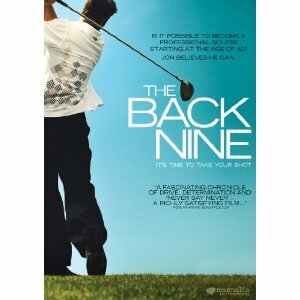 The Back Nine revealed much more than the story of one man going for the impossible. The piece chronicles the life of Jon Fitzgerald, who at the age of forty decides to pursue his dream of playing professional golf. Almost everyone, except his wife and daughter, discourages his dream. He continues on his quest. It’s the story of discovering what’s most important in life. It’s the story of fathers and sons. It’s the story of journey trumping destination. On his journey, Jon must train and practice. One of his coaches – a yoga teacher – asks him to remember the moment he felt the highest joy when playing golf. Once he remembered the moment from childhood, she told him to reconnect to that feeling every time he played. I knew what she meant because I remember the moment it occurred for me in my writing. 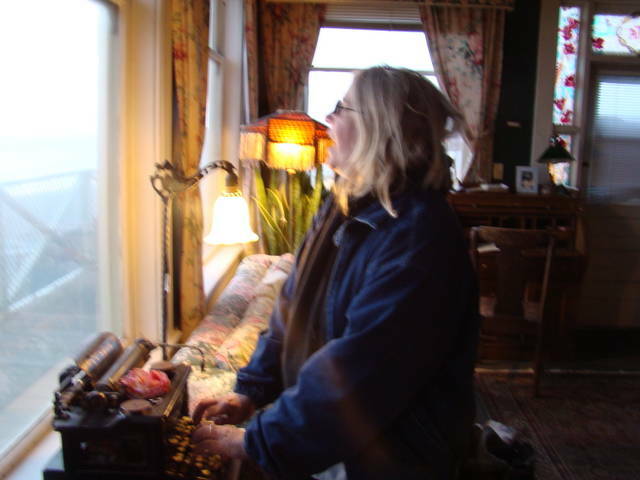 As I wrote my second novel, A Lethal Legacy, I came to difficult scene. A character in the story dies with the protagonist at his side. 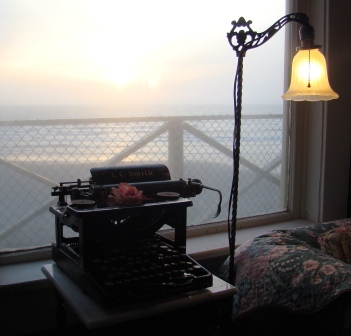 I sat in an antique rocking chair with the keyboard in my lap as I envisioned the scene. I rocked back and forth and closed my eyes, remembering. I began typing as the scene in my mind moved to my fingers on the keyboard. I was transported back to my memory to when I sat at my mother’s bedside as she lay dying. The words flowed as freely as the tears running down my cheeks. My fingers flew across the keyboard. It was a moment of pure commitment to my craft. It was blissful and joyful, despite the painful memory I evoked. I’ve heard other writers refer to it as “the flow.” I was definitely in it, and like a drug addict seeking the next high, each time I write, I seek that moment once again. It’s never been as good as it was that first time, but I’ve come close. More than a decade later, I still remember what it felt like. That moment is the very reason I continue on my journey as a writer despite the pitfalls. Jon has yet to realize his dream but what he gained from the pursuit gave him much more. I have yet to realize my full-blown dreams as a writer, but what a ride I’ve experienced so far. “I slowly rose from my bed to get dressed. I would not let Gary die alone as my father had. He would have those who loved him near him as we tried to make his passage from this world a safe one. After a lifetime of suffering, it was the least he deserved. We remained with Gary for the rest of the night. It was excruciating to sit in that room. We waited after each loud breath for the next one, dreading it, yet hoping it would come. As the night wore on, the breathing became more irregular. Finally, around dawn with the new day emerging outside the shaded window of the bedroom, Gary took one last gasp of air, but he never let it out. He had gone from us, just as the night had slipped away, with little fanfare. This entry was posted in Ramblings of a Writer, Style and Grace and tagged authors, Back Nine, documentary, golf, novel, writers, writing, writing flow. Bookmark the permalink. Thank you, Hazy. If only I could bottle that moment and pull it out every time I need it.